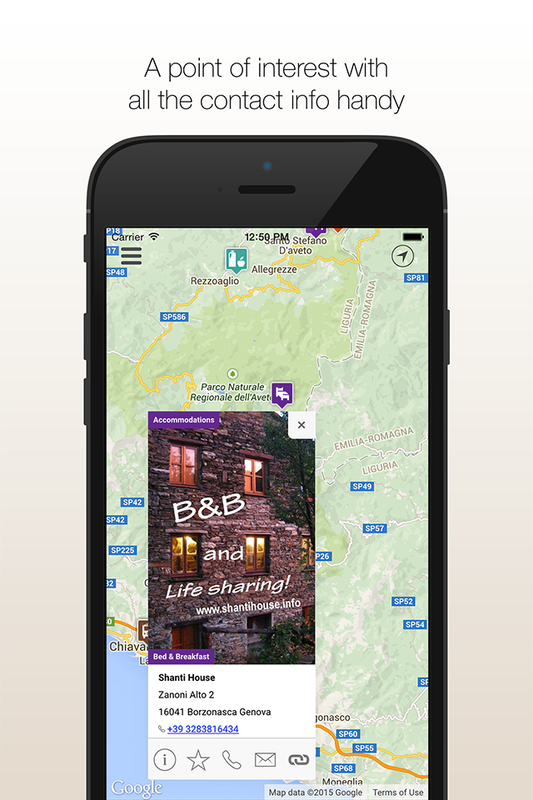 My first App for iOS and Android is almost ready! The app – we like to call it the “(m)app” – is the last of the digital tools created to help people to discover and plan a vacation in one of the areas participating by the InRuTou project: Beskidy (Poland), The Bucovyna Region (Ukraine), Dorna Country (Romania) and The Aveto’s Park (Italy). Every time the app is opened, she – yes, in Italian is a lady 🙂 – checks if there are new or updated Points of Interest (POI) and, eventually, updates its internal database. The database of POI is kept on a remote server and managed trough another application – called the Backoffice – based on the Camaleo D tool I started to write some years ago and used to create several other applications. 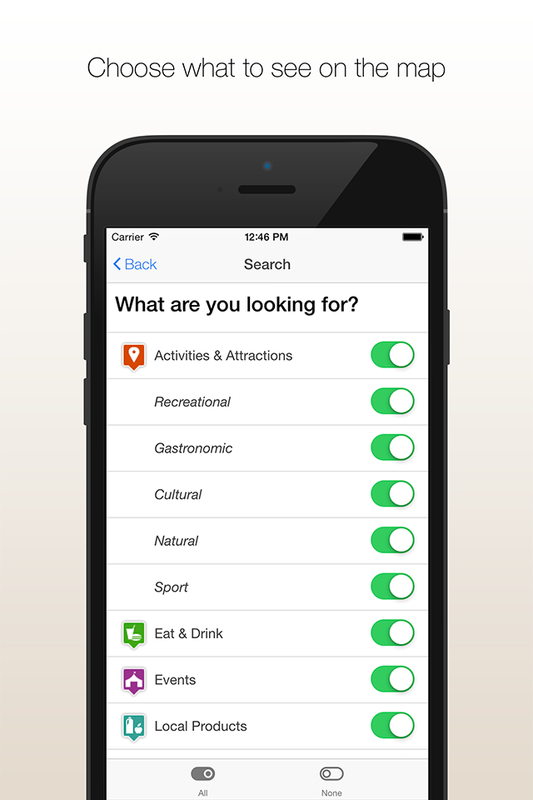 Users can bookmark their favourite POIs so they can have them handy when actually visiting the region; optionally is possible to center the map on the actual user location by enabling the phone GPS. 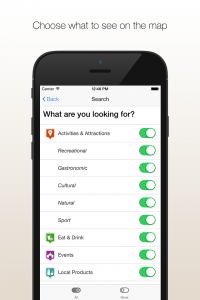 To let the users to easily find what they are looking for POIs are divided in categories: Activities & Attractions, Eat & Drink, Events, Local Products, Accommodations, Tourist Information Points and Transports – The app allows to filter the data on the map so that only POIs associated to the selected categories are shown on the map. The (m)app will be is available at no charge on the Apple Store and the Google Play Store. Also, once I released the final version, I will make the source code available on GitHub for anyone who wants to learn how to create a Ionic application. The Innovation in Rural Tourism project, funded with support from the European Commission, aims at developing and testing a set of tools and innovative models to facilitate the development of sustainable tourism in rural areas – specifically in mountainous regions. Update January, 2016: the source code of the project code deliverables is now available: click here to download it. The download file include a readme with a list of contents. No installation instructions are provided as the contents are provided for expert developers that must know what they are doing. 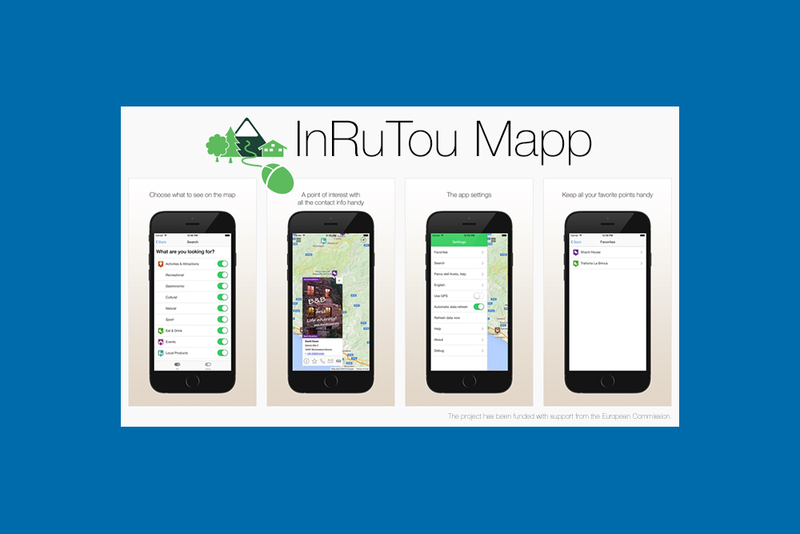 The full app directory structure is provided within inrutou_APP.zip – the source code include some useful comments.